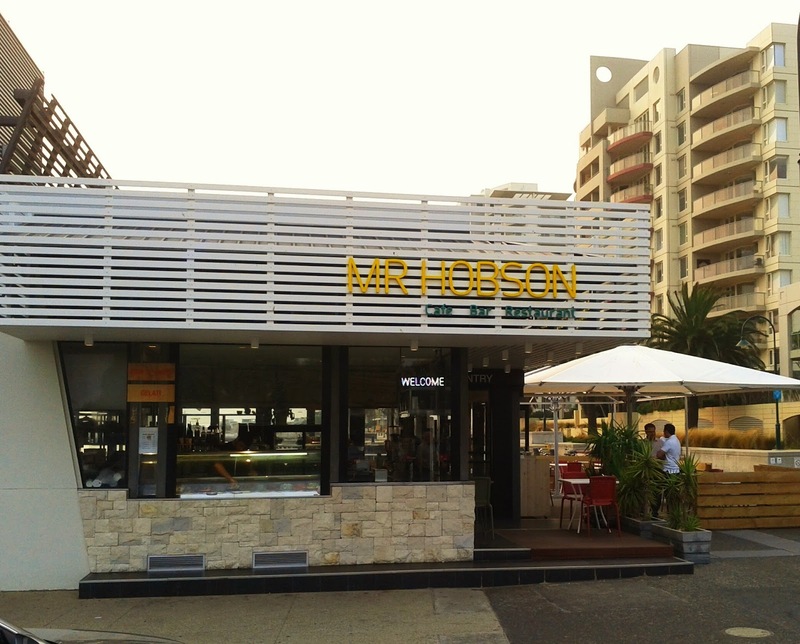 Mr Hobson is situated in the sleek looking first building on Station Pier in Port Melbourne, and includes a terrace looking west along the beach towards Williamstown. 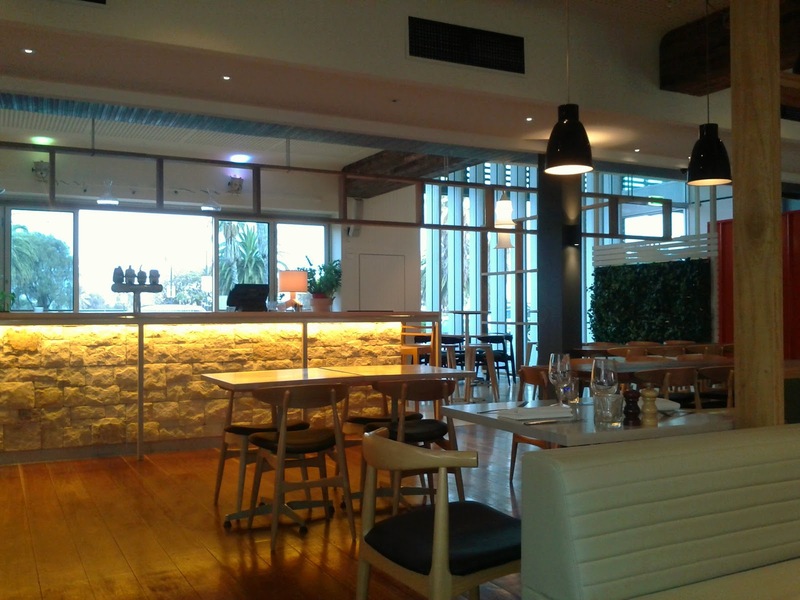 We visited after a booking a special through dimmi, which offered 50% off our food bill. The offer popped up in my inbox on the day our guest, who is a fan of this part of town was arriving. The modern and stylish look continues inside, and despite it being a Tuesday there were a decent number of other diners already seated when we arrived. We went for the Tapas sharingp late to start. The patatas bravas were disappointing boiled rather then fried potatoes in a lacklustre tomato sauce, the marinated mushrooms and the grilled vegetable tapenade however were both much better, well prepared and full of flavour. We were brought more bread when we asked. 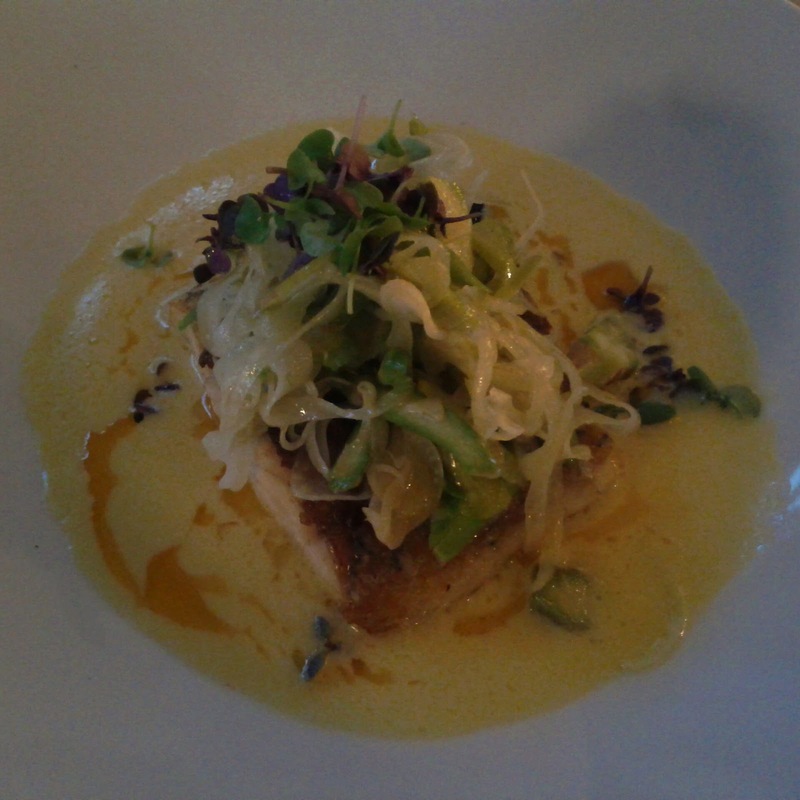 The crispy skin Barramundi fillet was perfectly cooked and came with a roasted portobello mushroom, an asparagus and fennel salad and plenty of the tasty butter sauce. 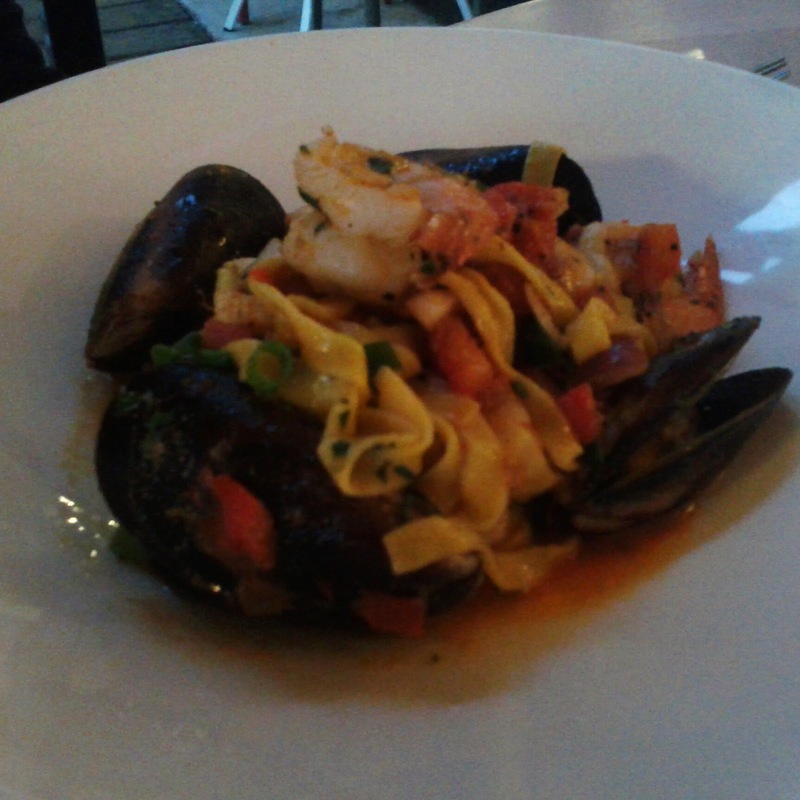 The seafood saffron fettuccine featured prawns, scallops, calamari and mussels, with olive oil, white wine and chilli and looked good. 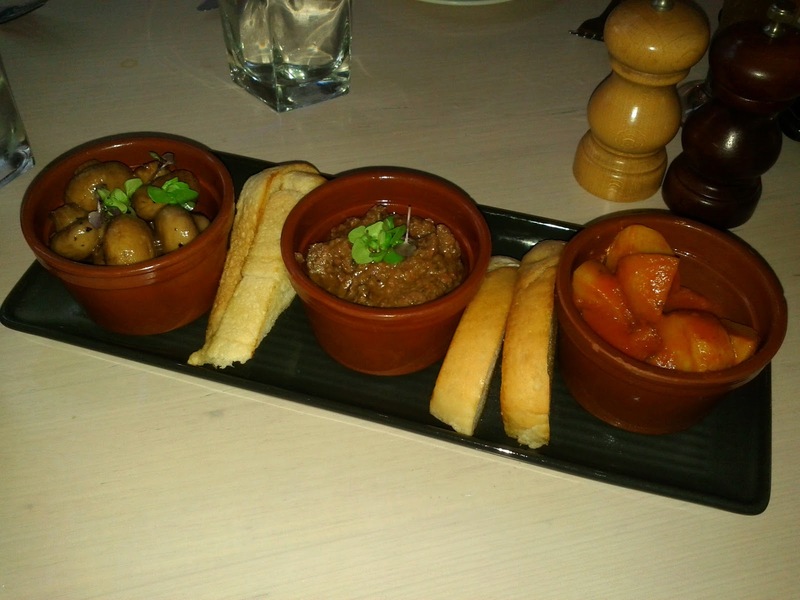 The dishes were both a little on the small size, but were certainly full of flavour. With a few drinks the bill was still under $80 thanks to the deal. The staff were friendly and the service good throughout the meal. 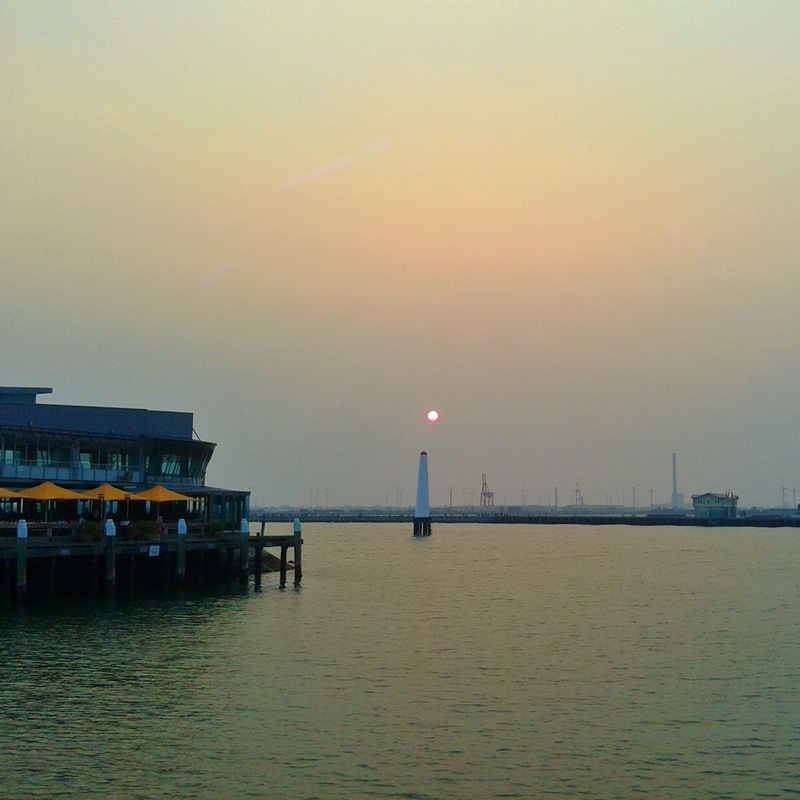 The view out across the bay for the hazy sunset was great. I'll definitely be looking out for another offer!